Director of the Media Majlis Pamela Erskine-Loftus speaks about Northwestern University in Qatar’s new museum in Kresge Hall on Thursday. Erskine-Loftus discussed the museum’s planning process, purpose and upcoming exhibitions. Northwestern University in Qatar is scheduled to open the country’s first digital museum in fall 2018, the museum’s director said at a presentation Thursday. The museum, called The Media Majlis, will focus on media, journalism and communication. Pamela Erskine-Loftus, director of the museum, spoke about the museum’s planning process, purpose and upcoming exhibitions to about 15 people in Kresge Hall. The museum will be located at NU-Q on the ground floor of a new media and communication building, which was dedicated in early May. The museum will open its first exhibition to explore the portrayal of identity in film, animation and video games from the 1870s until today, Erskine-Loftus said during the presentation. From the beginning, the idea for the museum has been to integrate NU-Q with Qatari locals, Erskine-Loftus said. The museum’s design will involve interactive screens attached to a metal grid structure, she said. The screens will showcase students’ work and faculty members’ research from NU-Q, and some Evanston students’ work as well, Erskine-Loftus said. The museum will also have a publication and a website to enhance audience engagement, she said. 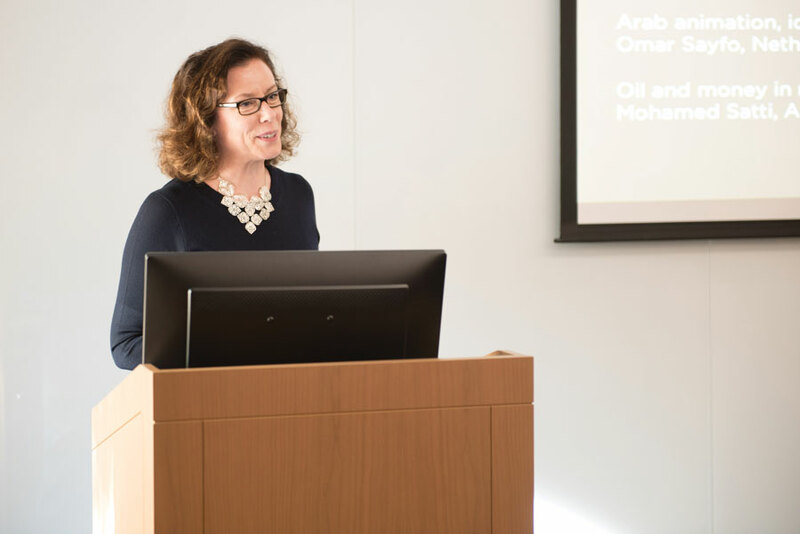 Erin Libby, manager of the NU-Q Support Office in Evanston, organized Erskine-Loftus’ presentation as the final event of an annual, week-long visit of NU-Q students and faculty to the Evanston campus. NU-Q is located in Education City, which is on the outskirts of Doha, Qatar. Five other American universities have campuses in Education City. Everette Dennis, dean of NU-Q and a member of the visiting group, told The Daily that technology can bring the museum’s exhibits to foreign audiences and make them accessible to students all over the word.